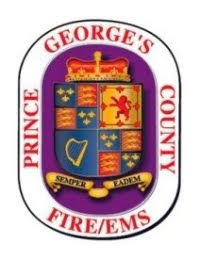 The latest statistics from the National Fire Protection Association (NFPA) show that if you have a reported fire in your home, you are more likely to die today than you were a few decades ago. This startling statistic is behind this year’s Fire Prevention Week theme: “Look. Listen. Learn. Be aware - fire can happen anywhere.™” Fire Prevention Week takes place October 7-13, 2018. 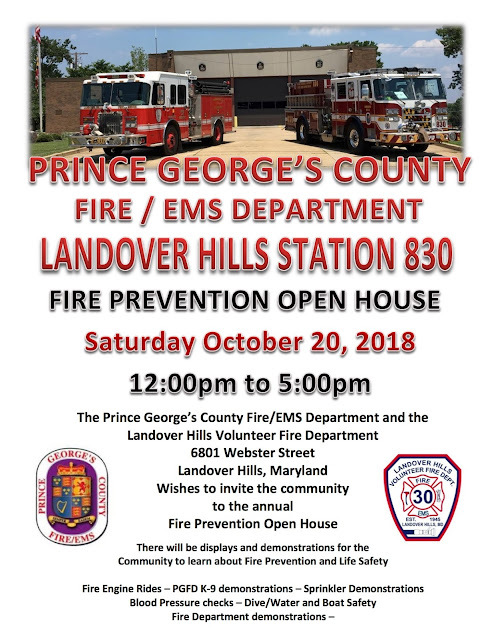 "I encourage all of our citizens and residents of all ages to visit one of the many Open Houses being held at Fire/EMS Stations throughout Prince George's County," said County Fire Chief Benjamin M. Barksdale. "Be proactive with fire prevention." 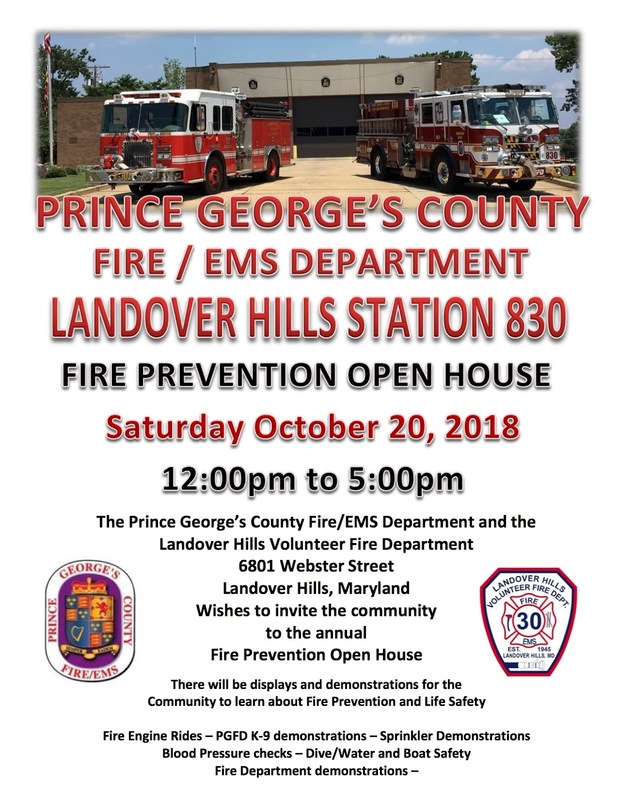 Here is a list of Open Houses being held. Additional events may be added to this list.